A concerted effort has been made by Streetfront to expose our kids to more artistic and creative opportunities. 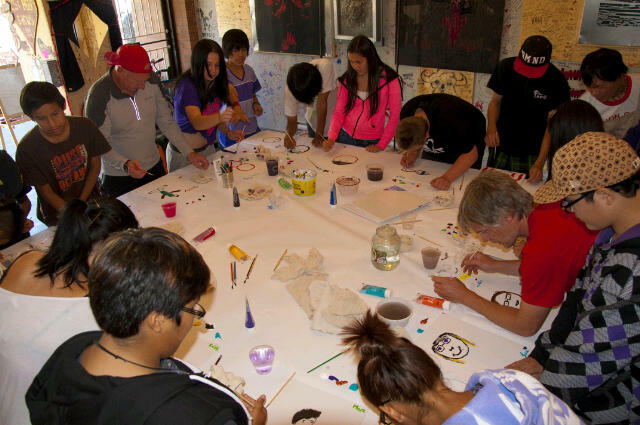 We started this program on Thursday September 13, when all of the students and staff descended on Ken the Artist’s wicked art studio on Gore Avenue in the heart of Chinatown. Ken designed a fabulous first project: “self portraits that you don’t do yourself”. It was a highly interactive and thought-provoking experience. It was impressive to see so much creativity come from initially reluctant artists. This is the first of 5 art projects we plan to do with Ken. Streetfront welcomed a new crop of students on September 4th. Its always an exciting time for both students and staff. It didn’t take long for the kids to see first-hand what Streetfront’s all about, with PE classes; 5 km runs and a beautiful BBQ at Kits Beach with 3 other Alternative Programs. 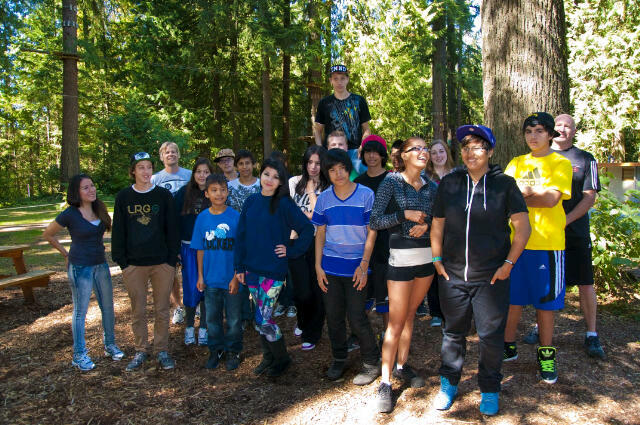 On Wednesday September 12th, Streetfront went out to Maple Ridge to explore the Wildplay Adventure Centre. This is an amazing adventure playground that combines high ropes challenges and zip lines. The kids pushed themselves well beyond their comfort zones and were quickly 60 feet above the ground, swinging into hanging cargo nets.